Which House Air Conditioner Filters Are Best? The majority of homeowners fail to change their air conditioner filter in their HVAC or furnace system as often as they are supposed to. In most cases, these filters are left for months before they are replaced. However, to achieve the right air filtration in residential homes, the air conditioner filter must be changed regularly. 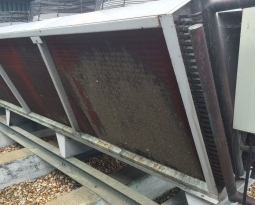 Over and above just changing these filters, not many homeowners know about the differences that occur between the best filter for air conditioner units and the cheaper air filters. Air filtration in the home can be as serious as a matter of life or death particularly for people that already suffer from respiratory conditions. Even individuals who are healthy are able to take advantage of allergen-free, dust-free and cleaner air. The best air conditioner filters for household use should serve the function of removing pollutants out of the air that will include both environmental and chemical ones. 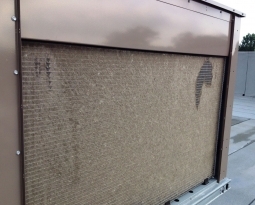 This can result in the occupants in a home breathing air that is much cleaner as well as a reduction in their electrical bills due to the fact that the HVAC unit is not forced to work as hard as it did with dirty filters. Mechanical air filters are the more common air filter types used in residential HVAC systems. These are the 1″ thick filters that utilize synthetic fibers that are able to trap dust, debris and small particles in order to prevent these pollutants from circulating into the air which can potentially land up in the lungs. The effectiveness for these mechanical filters is measured by an industry standard known as MERV ratings which stands for Minimum Efficiency Reporting Value. Typically speaking, cheaper filters will have fairly low MERV ratings. This means that you generally receive what you are willing to pay for with these filters. 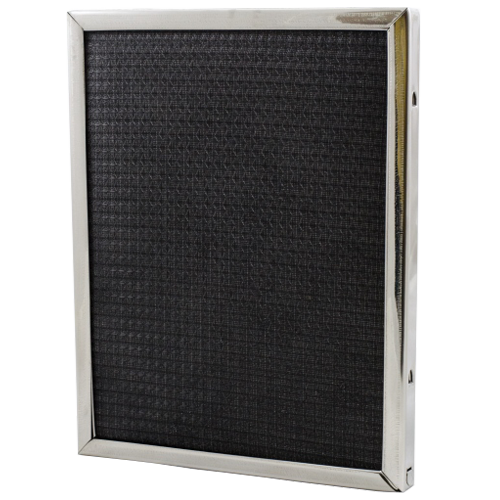 These filter types are extremely thin and feature a flat-panel simple surface that traps particles out of the air. These filters were originally designed to protect air conditioning and heating equipment and not to serve the purpose of improving the air quality indoors. These filters are usually available around under a dollar for one but only remove under 20% of air pollutants in the home. The majority only feature a MERV rating of between 1-4. Intended Dust Spot Efficiency is <20% of particles >10.0 microns in size (household dust, pollen and mold spores). These air conditioner filters are able to remove more airborne pollutants found in the air around the home. However, the amount of pleats according to each square foot has an impact on the overall efficiency. These filters usually retail for around $10-15 each and have a MERV rating of between 5-8. Intended Dust Spot Efficiency is <20% to 60% of particles 3.0-10.0 microns in size. 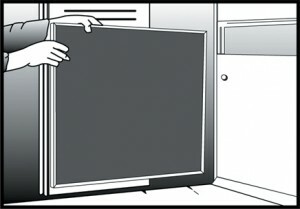 Filters that feature more pleats and greater media surface area per square foot will provide better airflow in the home. 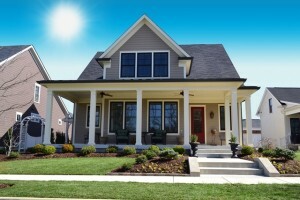 The more air that can flow through the ventilation system of the home, the more it will be recirculated. The result from this type of air filter is cleaner air due to the air passing through a more dense type of air filter media then fiberglass. This type of panel air filter is designed to be washed, reused and environmentally friendly. Made with a combination of washable air filter media that can include polypropylene, foam or nonwoven polyester with metal or plastic support. These filters usually retail for around $30-$100 each and have a MERV rating between 5-8 with an Average Arrestance Efficiency of 80 to 95% of particles 3.0-10.0 microns in size. Washable air filters are a 1x purchase, giving homeowners the least cost over the air filter’s useful life. 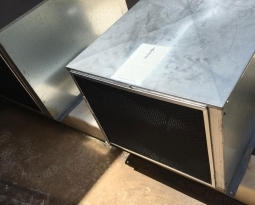 Most come with a Lifetime Warranty, and with proper care they can outlast the life of an HVAC system. These are some of the best disposable filters for air conditioner units used in the home and have the ability to remove 40-85% of pollutants in the air. They typically feature a MERV rating of 9 to 14 at a cost of $15-$30 each. These high efficiency filters are also regarded as one of the best air conditioner filters for allergies as they perform the function of trapping extremely small particles like bacteria and particles that carry viruses, as well as mold, pollen, dust and other types of irritants. These filters are developed using fine fibers made up of synthetic polyester. 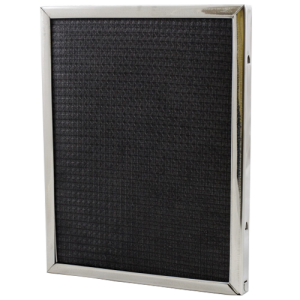 High Efficiency Particulate Air (HEPA) filters offer the best filtration for any home in the way of removing about 99% of pollutants in the air found commonly in residential homes. 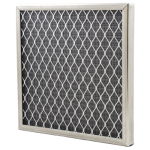 These filters feature a MERV rating of between 17 -20, and are typically used with stand alone electronic air purifiers or whole-house filtration systems. The HEPA filters may be significantly efficient, but they do require a large amount in air pressure in order to force air through the filter. 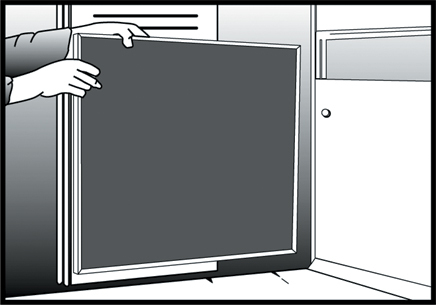 The standard HVAC system is not equipped to offer sufficient air flow in order to use a HEPA filter. With higher efficiency air filters, comes greater resistance to air flow. Check your owner manual or ask your local HVAC contractor what range of air flow resistance your system can safely handle. 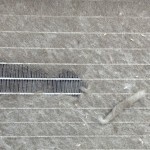 For those homeowners who have ever wondered if they can eliminate having to dust their homes when selecting the air filter with the highest micron ratings, well the fact remains that the best quality and more expensive air filters can decrease the need to dust, but will never completely eliminate the dust. 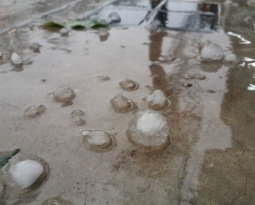 Dust that floats around in the air contains particles which range in size from the extremely small particles of about 0.001 microns to the largest microns which are around 100 microns. So this means that while smaller dust particles are captured by the air filter, the weight associated with larger dust particles means that they settle onto the floor or furniture before they have a chance to reach the air filter. Air filters capture airborne, dust through the homes ventilation system as it is being recirculated. The fiberglass cheaper filters perform a better function at trapping the larger particles of around 10 micron, but not the smaller particles. The higher-efficiency filters perform the function of trapping small particles of around 1 micron, but can face load with larger particles and end up blocking air flow. However, it is of importance to realize that the smallest particles are usually the more dangerous ones. Air pollution indoors is ranked in the top 5 when it comes to environmental based health risks. This is why it makes perfect sense that homeowners should take these issues a lot more seriously. This means protecting their homes with the best air conditioner filters that offer the best air filtration. This also means avoiding the cheap filters and instead choose a higher efficiency air filter that works well for your system and has a MERV rating of at least 6 or even higher. This choice will result in a healthier environment in the home and is particularly true for those who suffer from allergies caused from indoor air pollutants.